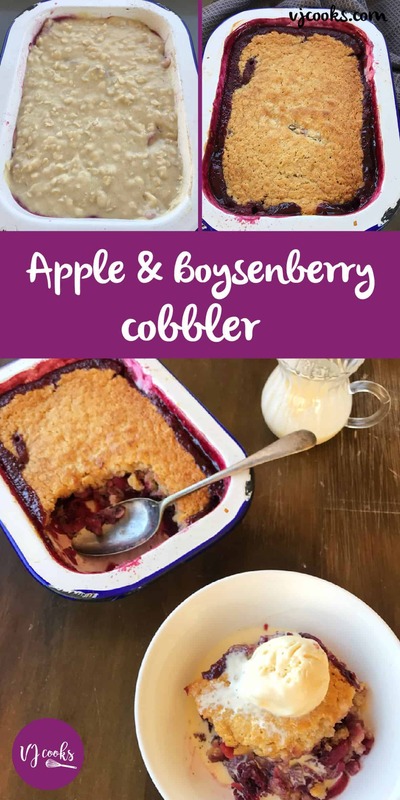 Not quite a cobbler not quite a crumble this apple and boysenberry baked dessert is so tasty! 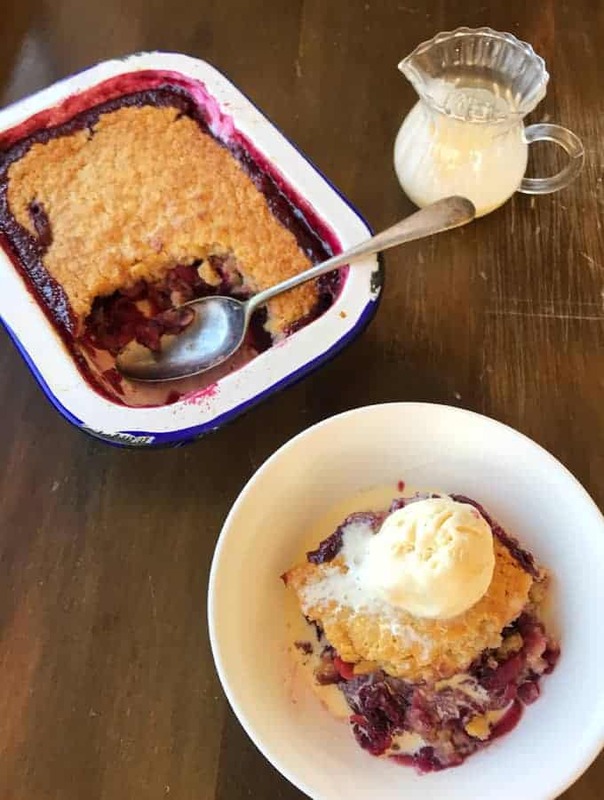 Using a couple of apples and a can of boysenberries makes this a super easy and affordable dessert. 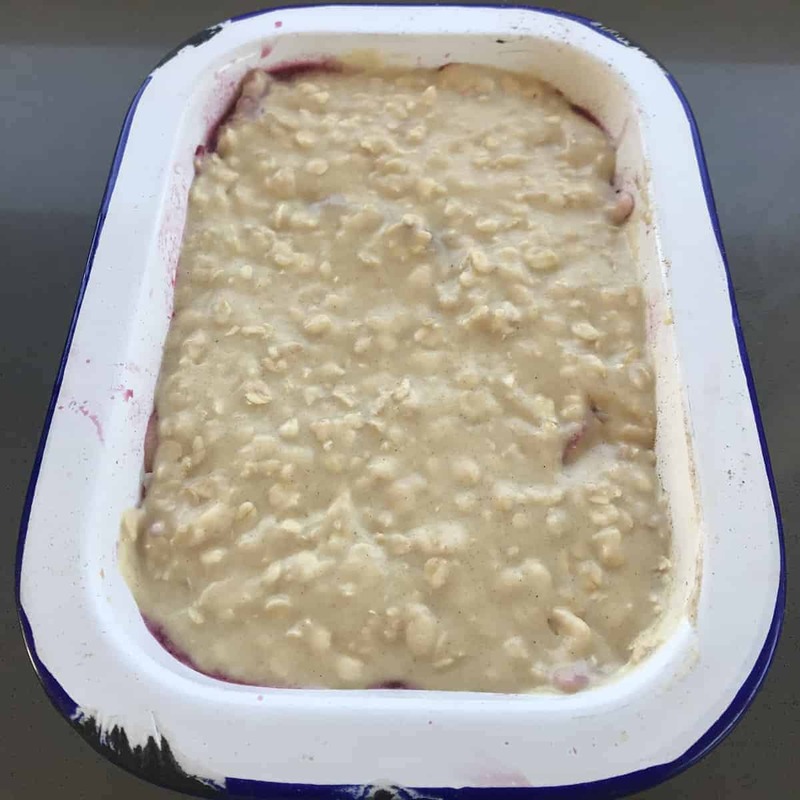 I decided to add rolled oats to the batter to give it a bit of crumble taste and rustic look. 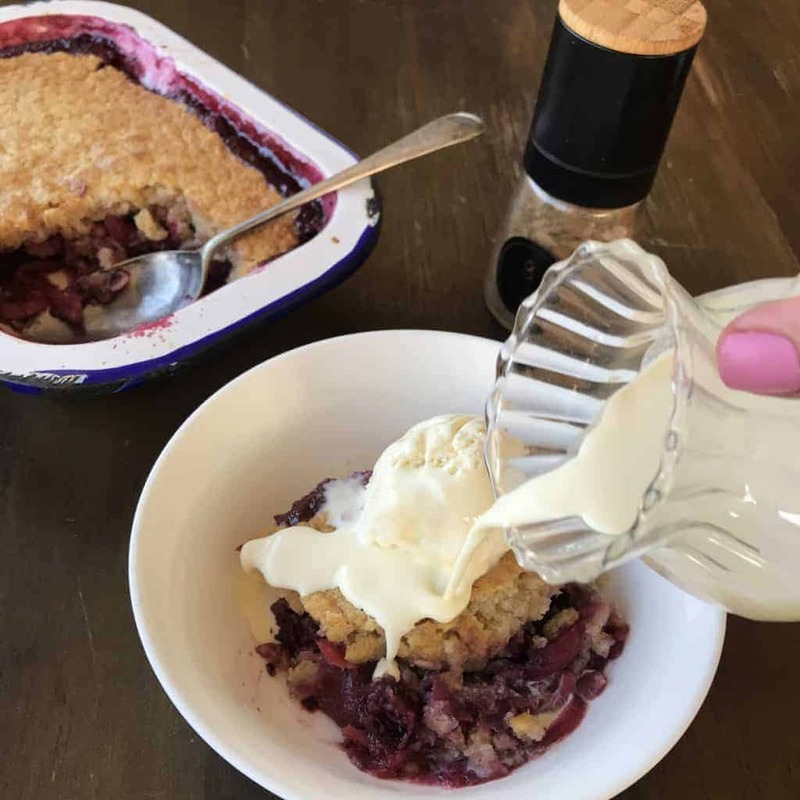 Your family and friends will love this quick and easy dessert, you can serve is with ice cream or cream or both. 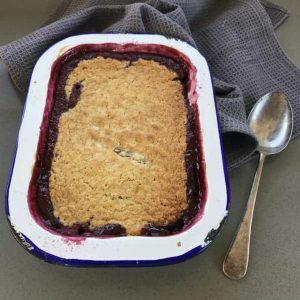 This apple and boysenberry cobbler is great in one dish or you can make it in individual ramekins. Preheat oven to 180.C fanbake. 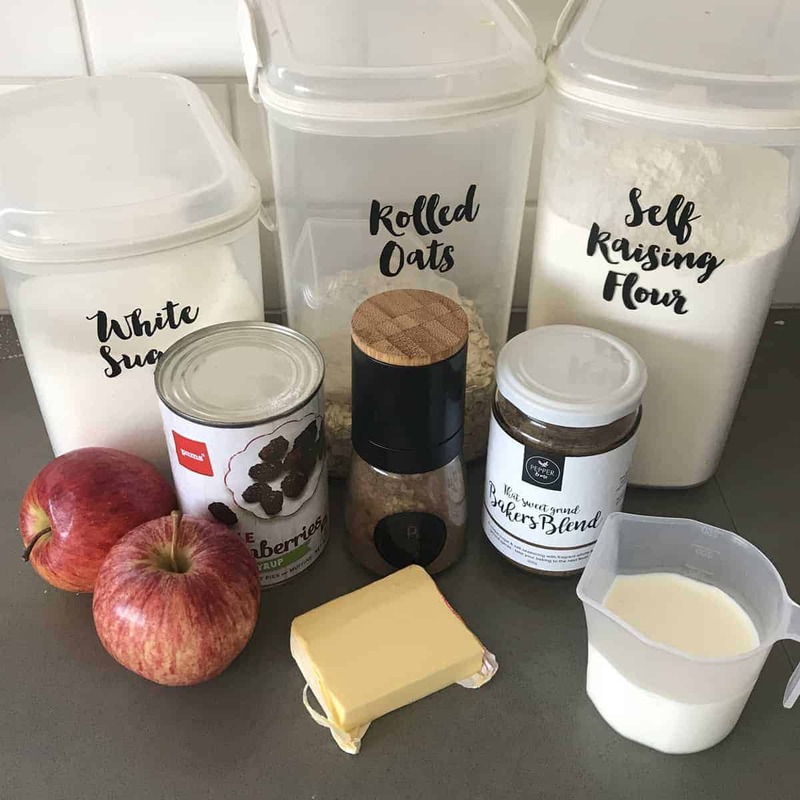 Stir together flour, oats, sugar and bakers blend. Pour in milk and butter and mix all together to combine. 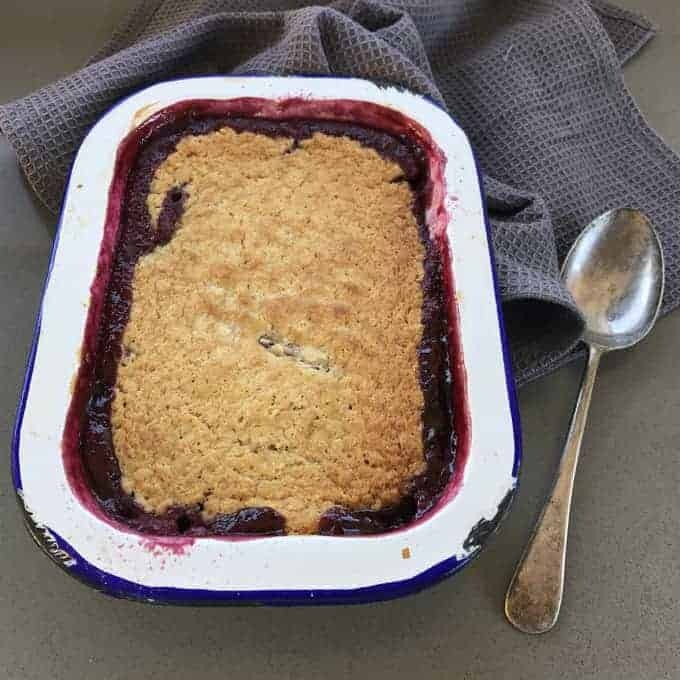 Add apples to a baking dish, drain half the liquid from the can of boysenberries then stir the rest in with the apples. Cover with the batter and bake in the oven for 30-40 minutes until golden and cooked through. Serve with ice cream or cream or both!